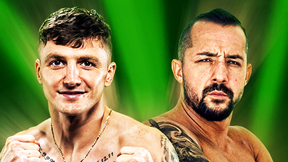 Find full event replays from the World Fighting Alliance here. 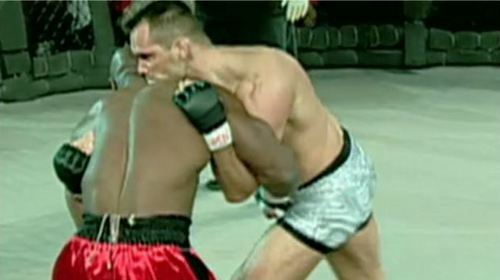 World Fighting Alliance 1 Nov 3, 2001 (1:38:01) The inaugural WFA event was headlined by a 27-year-old undefeated light heavyweight named Rich Franklin taking on Marvin Eastman, who had beaten another future UFC champ, Rampage Jackson, the previous year. Also on the November 3, 2001, card from the Hard Rock Hotel in Las Vegas were Frank Trigg, Tony DeSouza and Tiki Ghosn. WFA 2: Level 2 Jul 5, 2002 (1:19:19) The second WFA card, which took place at the Hard Rock Hotel in Las Vegas on July 5, 2002, featured the likes of future UFC welterweight challenger Frank Trigg and UFC pioneer Kimo Leopoldo, all fighting against the WFA’s eclectic backdrop of live music and go-go girls. WFA 3: Level 3 Nov 23, 2002 (1:30:28) The third WFA event, which took place on November 23, 2002, offers UFC FIGHT PASS subscribers the chance to see future UFC stars Frank Trigg and Dennis Hallman collide early in their careers, along with bouts featuring future UFC fighters Marvin Eastman, Josh Thomson, Mike Van Arsdale, Chris Haseman and future WEC champion Razor Rob McCullough. WFA: King of the Streets Jul 22, 2006 (2:29:49) The fourth – and final - WFA event was undoubtedly the best the promotion put on during its sporadic five-year existence. 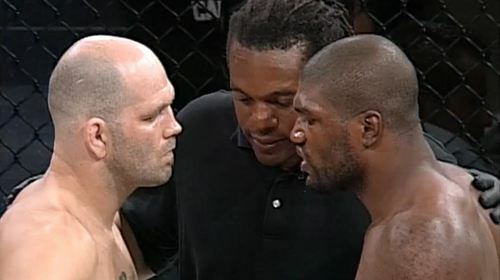 Headlined by a fascinating – and ultimately controversial - battle between Rampage Jackson and middleweight contender Matt Lindland, the July 22, 2006 card, also featured the final career fight of former undefeated UFC heavyweight champion Bas Rutten. Also in action were Lyoto Machida, Martin Kampmann and Ricco Rodriguez.